Amec Foster Wheeler announces today that its teams at the Sellafield nuclear site in Cumbria have achieved an outstanding safety milestone by completing one million man hours without a lost-time incident (LTI). Sellafield Limited has praised the achievement by 150 Amec Foster Wheeler employees who carry out civil, mechanical and electrical engineering work, plus subcontractors and supply chain companies. “This level of performance demonstrates that Amec Foster Wheeler shares key values with Sellafield Ltd and our other supply chain partners, the highest of which is the safety of our workforces and the environment in which we operate. “Maintaining our safety record is extremely challenging when you’re doing heavy construction work in a high-hazard area with extremely low-severity thresholds for incident reporting. Amec Foster Wheeler’s teams focus on safety through the use of safe systems of work documentation, pre-job briefings, and regular inspections. 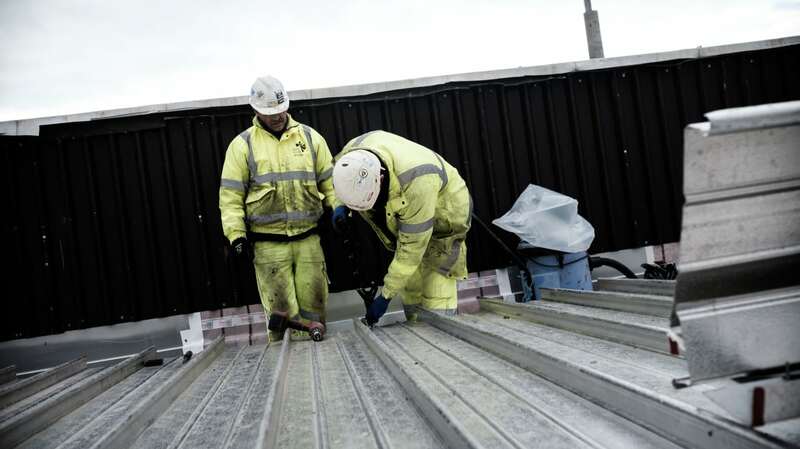 All managers, supervisors and engineers do two site inspections per month to identify and manage potential hazards such as working at height, manual handling or anything that might cause slips, trips and falls. They also use an observation reporting system to record unsafe conditions and behaviours that might lead to an incident and also acknowledge and reinforce the safe behaviours that help sustain excellent HSE performance. Risk assessments and pre-job briefs are also checked and updated as part of the inspections, ensuring that safety advice keeps pace with the situation on site.